For five years from the date of original delivery, your Le Cache warranty covers all parts and labor to repair or replace any components that prove to be defective in materials or workmanship in the cooling unit. Under the terms of this warranty, we will repair or replace the original cooling unit with a new or refurbished cooling unit and, once replaced, the original cooling unit must be returned to us. The cooling unit is self-enclosed and is located inside the wine cabinet and is mounted to the top of the cabinet. For five years from the date of original delivery, your BILD warranty covers all parts and labor to repair or replace any components that prove to be defective in materials or workmanship in the cooling unit. Under the terms of this warranty, we will repair or replace the original cooling unit with a new or refurbished cooling unit and, once replaced, the original cooling unit must be returned to us. The cooling unit is self-enclosed and is located inside the wine cabinet and is mounted to the top of the cabinet. All service provided by Le Cache under the above warranties must be performed by a designated repair center, unless otherwise specified by Le Cache. Purchaser is responsible for removing and reinstalling the cooling unit from the wine cabinet, and for shipping to and from Le Cache or to and from a designated repair facility. The limited warranty applies only to wine cabinets purchased from the factory or an authorized dealer. 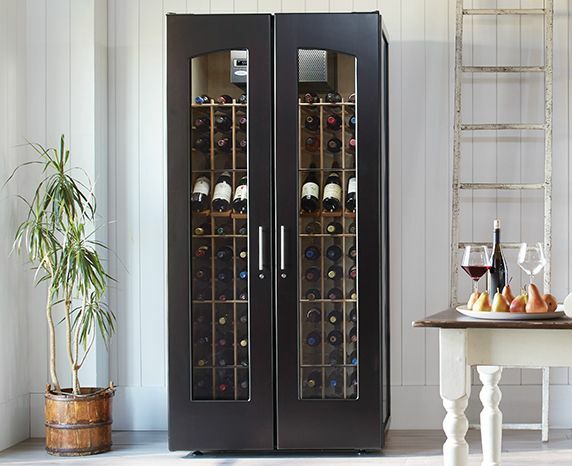 For wine cabinets delivered to Hawaii and locations outside the United States, the District of Columbia or Canada, the limited warranty applies to the cooling unit, but it does not apply to the wine cabinet. Damage caused by others or by any cause beyond the control of Le Cache, shall not be considered defects in material or workmanship and are not covered by the warranty. The limited warranty does not cover any parts or labor to correct any defect caused by negligence, commercial use, accident, or improper use, maintenance, installation, service or repair. The limited warranty also does not cover any parts or labor to correct any damage caused by severe temperature variations, direct sunlight, extremely dry conditions or great humidity changes. THE REMEDIES DESCRIBED ABOVE FOR EACH WARRANTY ARE THE ONLY ONES, WHICH LE CACHE WILL PROVIDE, EITHER UNDER THESE WARRANTIES OR UNDER ANY WARRANTY ARISING BY OPERATION OF LAW. LE CACHE WILL NOT BE RESPONSIBLE FOR ANY CONSEQUENTIAL OR INCIDENTAL DAMAGES ARISING FROM THE BREACH OF THESE WARRANTIES OR ANY OTHER WARRANTIES, WHETHER EXPRESS, IMPLIED OR STATUTORY. To receive parts and/or service and the name of a Le Cache designated repair facility nearest you, contact your Le Cache dealer. You may also contact Le Cache Premium Wine Cabinets directly by calling us at 1.877.532.2243.